Quickly learn Newton’s third law of motion…. Action and reaction forces. Simple to say but confusing to use. Which force is the action force? Which force is the reaction force? How can an object accelerate if the action and reaction forces are equal and opposite to each other? 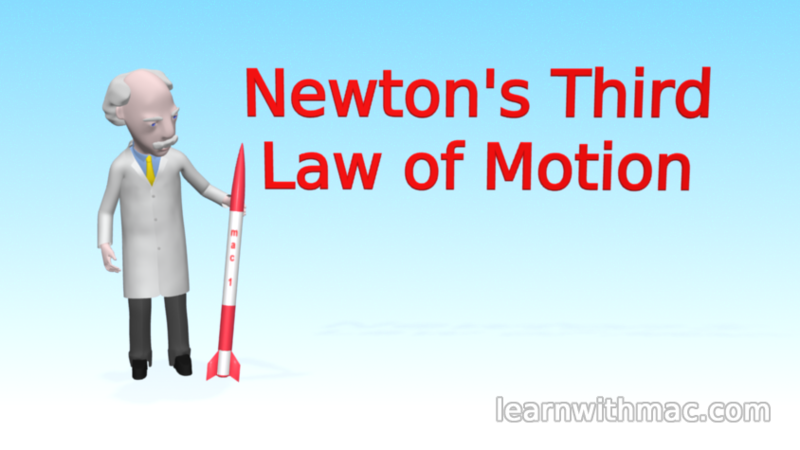 In just over eleven minutes you will quickly learn how to master Newton’s third law of motion. With my video ebook on your iPhone, iPod touch, iPad or Mac you will learn the secrets to using Newton’s third law of motion. What students say about my teaching material …. My video ebook contains over 25 high quality images and over eleven minutes of detailed animation. It is the only place where you will be able to see the full animation of Professor Mac conducting his experiments explaining Newton’s third law of motion. This includes an experiment where he accelerates a kart to high velocity using compressed gas. You will also join Professor Mac on his launch pad as he initiates a tense countdown to a spectacular launch of the rocket Mac1. My video ebook combines high quality rendered images with easy to follow explanatory text as shown in the screenshot below. You can see more screenshots by following the link to iBooks. Beautifully rendered animation is embedded directly on the pages of the video ebook. 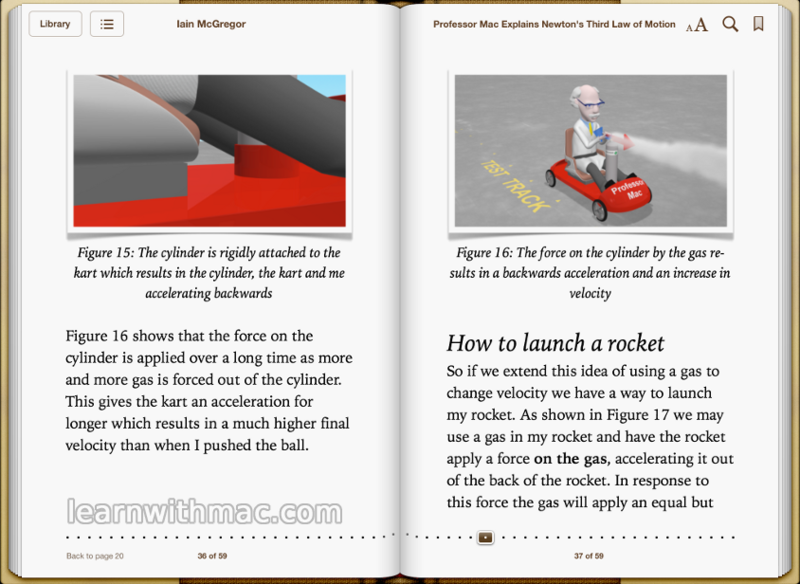 This enables you to watch the videos of Professor Mac conduct his experiments from within the video ebook, making it easy for you to quickly understand the law. Download now and prepare for your tests with confidence….